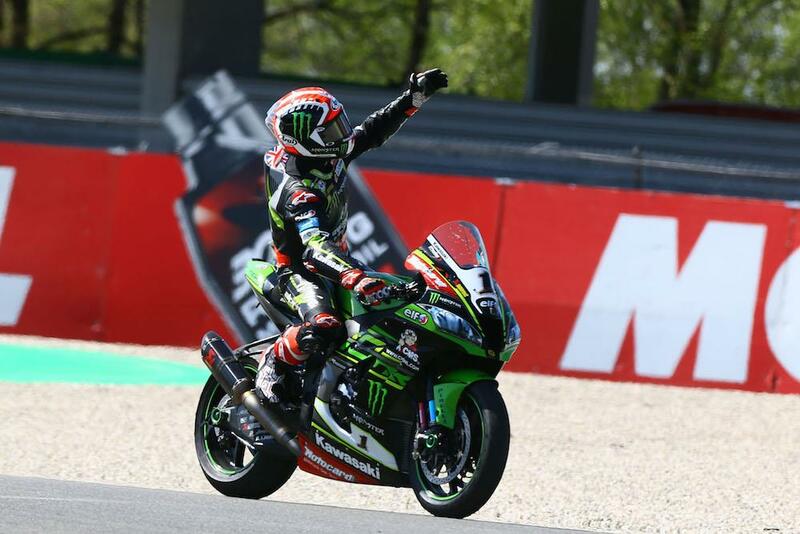 Jonathan Rea became the most successful World Superbike rider of all time as he secured his fourth World Championship in Magny Cours this afternoon. The Ulsterman has been unbeaten since joining Kawasaki in 2015, and clinched his fourth world crown with just two and a half rounds remaining. Bolting off the line from second on the grid, Rea latched on to the back of team-mate Tom Sykes before making his move on lap two, before checking out in his trademark dominant style. Tom Sykes and Xavi Fores completed the podium. Rea has been in a class of his own throughout 2018, the victory in Magny Cours is his 13th of the season and seventh on the bounce. He has finished off the podium in just three of the 21 races so far this year, to build an insurmountable points gap to Chaz Davies in second. The victory sees him equal Carl Fogarty’s record for the most World Superbike titles on four, but having surpassed the former Ducati ace’s all-time win record earlier this year Rea can now be called the most successful rider in the history of the series. Is Jonathan Rea your 2018 MCN Racer of the Year?